On Monday Bloomberg reported that Netflix is developing a series of specials in which viewers can basically choose the outcome of the episode. 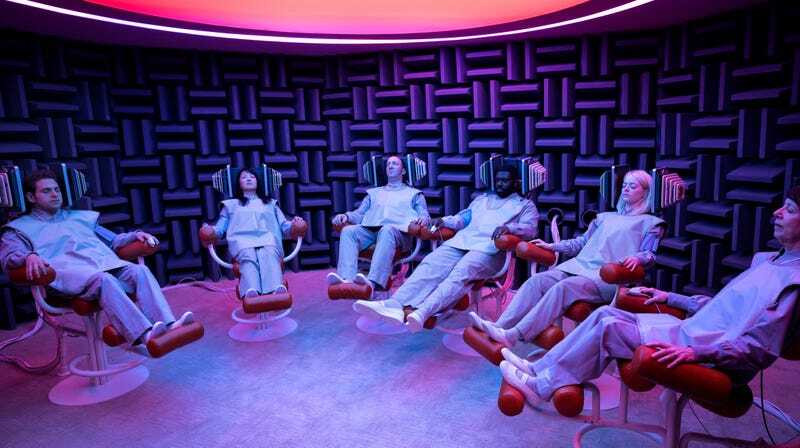 The “choose your own adventure”-style specials, confirmed by anonymous sources to Bloomberg, will include an upcoming episode of Black Mirror which is set to release in December. The company also has a TV show in the works based on the video game Minecraft, and apparently Netflix plans to release another show based on a video game. The full extent to which interactive TV will descend on Netflix is unclear, and while I think that video game-style episode formats might work for Black Mirror (itself about futuristic tech and sci-fi) and literal video game adaptations, I’m not that into the idea that choose your own adventure-style TV might become mainstream. For starters, Netflix already approaches television like a game. The service goes beyond the eerie recommendations you find when looking for new shows to watch, since it also unapologetically produces and licenses television shows based on the data it mines from users. House of Cards was born because Netflix knew that people using their service liked the British version of the show, movies starring Kevin Spacey, and movies directed by David Fincher. Putting them all together inevitably led to (highly calculated) television gold for Netflix. But I’ve also begun to find it disturbing how many TV viewers approach TV like a game. It’s one thing to analyze a television show for clues structured around mystery, like rabid fans did with True Detective and Westworld, but people often treat TV like a puzzle to be solved. Sometimes an outspoken, intense fandom can lead to cancelled shows getting new homes, such as with the return of Sense8, but we’re also in this moment where people actually try to petition TV shows to bring back characters after they die. It’s a conversation that’s reminded me of what’s happening in Young Adult literature, in which entire books are sent back to the editing room for extensive rewrites after a few polarizing Goodreads reviews. Interactive TV sounds fun when applied in the right circumstances, but knowing Netflix, it could easily become just another tool in their arsenal to make shows tailor-designed to viewers to only make them feel good and nothing more. And what’s the fun in that?